FinTech in Japan is far more advanced than most outside observers imagine it to be, and based on new deregulation and government incentives, finTech in Japan is about to accelerate even more. Today we sit down and talk with Toshio Taki, co-founder of Money Forward, advisor to Japan’s Financial Services Agency, and the head of the FinTech Institute of Japan. He not only tells the story of the founding and growth of MoneyForward — one of Japan’s finTech success stories, but he outlines how the Japanese government’s plans to promote financial innovation while still maintaining the integrity and stability of the industry as a whole. The Japanese banking regulators are, at least in this sense, far less conservative than you think, and they are setting up a finical ecosystem in Japan that will lead to far more innovative finTech startups than we are seeing coming out of Europe of America. Okay. For all of you fastidious followers and fanatical fans of all things FinTech, I have a fantastic show for you today. We’re going to sit down and talk with Toshio Taki, co-founder of Money Forward, about how the Japanese government is forcing the banking sector to allow startups to innovate. Well, perhaps forcing is too strong a word, let’s just say that Japanese banks are being strongly encouraged to work with startups. Now, Toshio studied under Peter Thiel at Stanford before co-founding Money Forward which has become the leading personal finance app in Japan. He’s also an advisor to Japan’s financial services agency and the head of the FinTech Institute of Japan. After listening to Toshio, you’ll understand why the Japanese banking regulators are far less conservative than you might imagine them to be and why the Japanese financial sector is about to become a whole lot more competitive than what exists in Europe or North America. Of course, this being Japan, risks must be understood and managed. And Toshio walks us through the Japanese government’s blueprint for fostering financial innovation while still maintaining the integrity and stability of the industry as a whole. This episode is required listening for anyone who wants to understand the future of FinTech in Japan. And you know, Toshio explains that much better than I can so let’s hear from our sponsor and get right to the interview. Tim: So I’m sitting here with Toshio Taki, the co-founder of Money Forward and head of the FinTech Association of Japan. Toshio: Cancelled meeting today and I’m very excited for this podcast. Tim: I’m glad to have you here because I think FinTech in Japan right now and Money Forward, it’s pretty amazing space to be in. Before we get started on the overall market, let’s explain what Money Forward is. I know it’s online financial management software that you sell to individuals and small business but tell us more about what it actually does. Toshio: Sure. In brief, Money Forward operates two types of businesses. One for the B2C where probably the most familiar name would be mint.com. We automatically gather information from every single bank in Japan by having people put in their credentials about the internet banking account and then make themselves a very simplified P&L statement for their individualized — we deliver that for 5 million users in Japan which makes us the largest personal financial management tool in Japan. So that’s half of our business. The other half goes to the B2B market where it’s very much again like another name called Quickbooks that goes to the U.S. market. We operate a cloud-based accounting SaaS service targeted towards the SMEs. Around half a million businesses have an account in our platform. They employ either their accounting software of maybe their invoicing package. So we provide all sorts of these back office automation tools for the very small businesses. Tim: Okay. What’s the basic revenue model? Is it like a freemium? Is it application upgrades? Is it consulting? 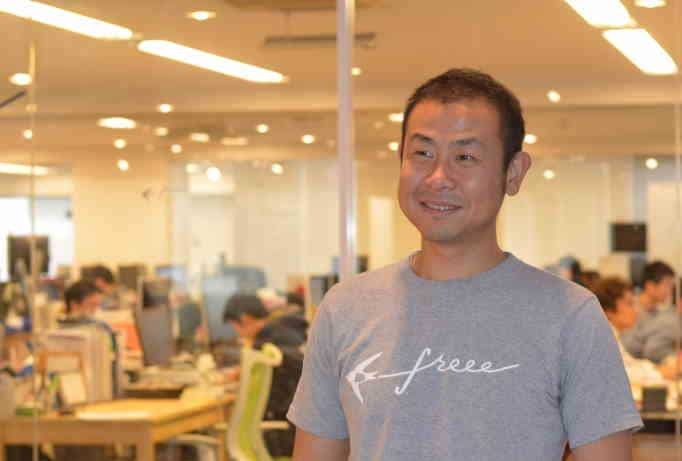 Toshio: For the B2C part, it’s the good old freemium model but it turned out to be a little of an exception in Japan where Japanese people do pay for monthly subscription model. They pay around $5 a month for the premium service and a fraction of our 5 million users use this premium model. Tim: What percentage of your users are free versus the paid plan? 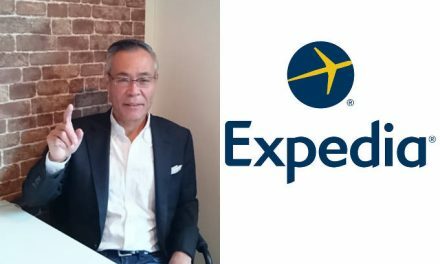 Toshio: We don’t actually disclose numbers but we always target 5% to 10% people to join our premium economy. Tim: What is the biggest difference between the free plan and the premium plan? Toshio: The largest two would be one is that you can connect more than 10 financial institutions. In Japan, a typical user has four or five bank accounts and three or four credit cards. This comes from a very unique Japanese market environment where we don’t have this kind of account maintenance fee where even if you have very limited balance in your bank account, you don’t get charged. The same thing goes to the credit cards. In Japan, it’s fairly easy to create a new credit card. Tim: Why would a typical household open multiple bank accounts? Toshio: In many cases, just having you move around doing your life like you change your locations or you enter the university, you go to your first workplace. Tim: Okay. So just people accumulate accounts over time? Tim: On the business side, is that also a freemium model? Toshio: For the business side, it’s much more like a SaaS model where we do provide a trial mode but you can only use that for trials. We have a $10 a month plan for the proprietors and we have up to $40 or $50 a month model for the more larger companies. And also if you want to automate payroll practices or other invoicing and reconciliation practices, then we have a little bit more higher end model. We do this add-on features to have this multiple revenue models. Tim: $50 a month for corporate accounting sounds incredibly cheap. What attracted you to Money Forward and how did you and Tsuji-san hook up? 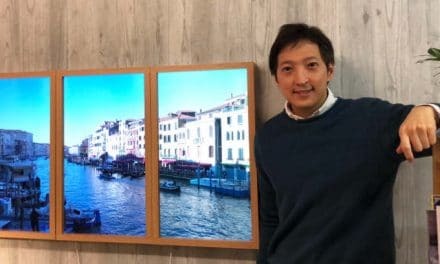 Toshio: Initially, I was looking for some members to potentially build a new company and was asking all of my friends whether they know a person who both understands the internet and the financial industry because I wanted to do something inside the financial industry in a very internet-driven context. Tim: Did you know what you wanted to build? You said you knew you wanted to do something in FinTech but did you know you wanted to build Mint for Japan? Toshio: Initially, I was thinking about doing a Mint-like service in Japan but it’s always the issue that when you try to just import a service into Japan, it doesn’t tend to work very well because different countries are different. That’s very, very evident in the world of B2C industry. Tim: Actually, let’s dig into this because I think this is a really interesting place. It would seem that like managing money, other than specific integrations with banks and things, it’s pretty much a universal activity. So what about the Japanese market is unique and made it unsuitable for products like Mint? Toshio: Mint model relies on two very basic facts. It’s that the American people take care about their credit scores and they do not want to miss out on their billing. That was the reason why Mint was able to deliver the service for free for a long time. Instead of taking money directly from the consumers, they made this lead generation model so that credit card issuers will pay instead of the users. So that demand is not as evident in Japan. Tim: Japan doesn’t have the U.S. equivalent of a credit score. Toshio: Yes, it’s very frank to say that Japanese people do repay their money. Statistically, it is very evident. That’s one point where credit card industry is very, very different in Japan and also at the same time because they fear about this sense of stigma that goes with debt. People really don’t use that much of credit card. Tim: Right. Well, actually until very recently, a revolving line of credit was not legal in Japan for credit cards who offer. By law they had to pay off at the end of every month. Toshio: Yes. A lot of the people think that credit card is just like one kind of a post-paid mechanism where they pay the entire month next month. Tim: In the U.S. the main driver of user adoption was consumers worried about their credit scores and credit balances and in Japan, what was it? Was it the access to multiple accounts? What was the main driver? Toshio: I think people are much more viewing us as a service that they could actually buy financial safety. Being able to look at your not financial numbers was like an option that was never available. Tim: In Japan, women control most of the household finance. In your customer acquisition strategy, did you do anything to specifically target women and housewives? Toshio: That was the hypothesis we had when we entered the market but it kind of proved wrong. Toshio: If you look at a typical manga in Japan like Doraemon, Nobita’s mom at the end of the month is always sobering about how the household’s deficit is so large but in recent years, contrary to that image, a lot of the male population take care about their money. It used to be maybe the wives that took care of their money but the methodology of doing that became so complex when you have multiple bank accounts and when you have credit cards. It makes things very, very complicated so that you don’t really have this single picture about what’s going on with their money. And then comes this PFM automated world where you just connect those information then you just spend three or five minutes per month. Tim: There was no particular adoption among women rather than men? Toshio: Actually, we have higher penetration among men. Tim: Do you think that is because without this kind of automation, household finances does take a lot of time every month and using these automation tools, it makes it more possible? Toshio: That’s a more beautiful way to acknowledge our service but I think we were founded by eight co-founders, all of them were male. We wanted a service that we wanted to use. If you look at other PFM services in Japan, there are some that are much more targeted towards the Japanese housewives. In many of those softwares, there’s a much more stronger emphasis on manual inputting of daily accounts. People really want to take photos of the receipts that they receive and they really want to enter manually about how many yen they spent at Starbucks, who they met at Starbucks, and in some cases, if they had a fun time or not fun time. Tim: The personal finance apps that are targeting housewives are more about diaries and just kind of missing their mission, it sounds like. Toshio: Yes. Financial management tool is also a life log. If you want to make that life log colorful, then people are very much free to enter much more private information but for us, we felt automation was much more important. Tim: I think I see what you mean about coming at that from a more masculine point of view, at least within the Japanese market. Tim: The other side of the business, small, medium enterprise accounting systems. On the consumer side, you were walking into a new market that was just opening up but on the business side, there’s lots and lots of accounting packages in Japan. What did you do that was different there? How did you get a leg into that business? Toshio: Initially, our service was targeted towards the proprietors who owned very small businesses. In Japan, there’s a tax filing season between February and March. We received some phone calls who are mainly users claiming that they could not file their taxes on our PFM service. There was a lack of cloud-based simple accounting software. Every single type of accounting software run on Windows. Some of the businesses running small restaurants were putting their daily numbers inside our PFM app. A PFM service definitely is not like a double entry accounting software so we needed to change that if we wanted to serve those customers. Tim: Okay. So it wasn’t so much that you targeted the market, just your users were using it that way anyway. Toshio: Yes. We always discover a market from the claims of the users. The way to figure out what really drives customer value but when you have like 2.5 million corporations in Japan and 4 to 5 million proprietors in Japan, there’s a lot of different segment in them. We basically together with free are still like 3% or 4% of the entire market. Tim: I think the industry as a whole is moving to the cloud and there’s companies like ASAS which are traditional accounting companies that are moving to the cloud as well. I think for the first couple of years, the fact that you are cloud-based and browser-based and easy to use is enough to generate attention and user growth. But going forward, even the traditional companies are going to be browser-based. Toshio: There’s a very famous research at Oxford where they labeled every single type of work in the U.S. that could be automated. Tax accountants were the number 1 or number 2. They scored really high on how they could be disrupted by automated technologies. But tax accountants are not only the people who type in data and make calculations. That could be done by computers. Tim: Yes. That’s bookkeeping, really. Toshio: Yes. But bookkeeping can be very easily turned into automated work but at the same time they are consultants and they’ve seen a lot of companies which succeeded or failed. Those voices that tax accountants actually can give to us can make our lives much more easier. Tim: Okay. So all of these tax accountants look at Money Forward and they see a way to outsource the low value bookkeeping to the client but then they can still charge for the high value consulting and advice. Toshio: Yes. A lot of the times are spent in many businesses doing things that aren’t that core. We want more accountants to face the executives and not face the numbers. To build some constructive dialogue based on those numbers. Tim: On your website, I saw that you have partnerships with over 1,400 financial institutions in Japan. Are those institutions these tax accountants you’re talking about or are they like the banks that you have integrations with? Toshio: Actually a lot of the regulatory climate has been turning into favor of us for the last two years or so. 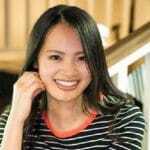 Last year and this year, the Japanese banking law was amended twice to basically open up APIs for the venture companies to ultimately bring a better financial service to the end clients. So we’ve been creating a lot of this kind of a collaborative atmosphere between venture companies and the banks. I personally sit on the expert panel inside the Japanese FSA on FinTech and I also lead some other industry initiatives related to that. Tim: But in reality, Money Forward is a lot more than just banks. You’ve got integrations with credit cards and the Japan Pension, airline miles, some stock information as well. Japanese banks don’t have APIs to share. Are you getting the data? Did you have to write screen scraping technology to get this or are they now opening APIs? Toshio: Ten banks have opened up APIs but this happened within these 15 months or so. Until then, everything was screen scraped. Actually, we cover 2,600 financial institutions right now. Of course some have very similar packaged internet website so that makes it easy to do that. But still on the engineering side of our business, we gather tons of information. We maintain that large library of script that reads the individual financial institution’s internet accounts. Tim: What percentage of these 2,500 institutions have APIs that you can read and what percentage are still web-scraping technology? Toshio: Only 10 banks open up APIs to date but actually that’s the largest number in the world. In the U.S. or in France or in London, the situation where bank has actually opened up APIs for the real accountant, it’s not for the test beta mode. The number is actually significantly high. Tim: Really? Because in the States, I’ve got a number of accounts in the States and accounting software can always connect to banks and to brokerage funds or something. Toshio: Yes. But in many cases, they connect to bank accounts through either screen scraping or having a dedicated server to do that screen scraping. In many cases, it’s not the API-based protocol that’s available. If you try see where banks have this API window, that’s like an open API project, now that’s still a very scarce example. Tim: So Japan is actually leading the way in this respect. Toshio: Yes. This kind of thinking was initially implemented and developed in the Eurozone. So the Eurozone has this pan-European legislation called PSD2 which is Payment Service Directive 2. That directive asks payment service institutions to open up APIs. Japanese government initially learned from this model but Japanese sometimes copy it much faster than the original part. We have been implementing a very faster type of regulation for the past one-and-a-half year to do so. Tim: You work closely with the FSA. What is their motivation for opening this up? Is it primarily to encourage startups and innovation? Is it primarily to increase interbank efficiency? Why is it so important? Toshio: To be simple, it’s better financial service. The word FinTech, it’s a very broad term but one of the core themes is better service is delivered by venture companies. If you think about companies in the U.S. like Vemmo or PayPal, they usually target only one segment of one particular service but they deliver this immense level of user satisfaction because they only try to do one thing while banks need to do good on many aspects. In the age of smartphones, we don’t get satisfied with good service. We really want the best or the cheapest services. Banking, it’s a world where you have security first. The second priority is security and the third is again, strong infrastructure and then security. Tim: That’s fair enough. You don’t necessarily want banks to be innovative. In fact, innovative banking is what led to the Lehman shock in the first place. Toshio: Yes. If you turn that to creativity, then you cannot penetrate creative accounting. Tim: It’s not a good thing. Toshio: By definition, banks should not be innovative but at the same time you want to be innovative in the service. You need to divide this service-oriented way of thinking with the way of bank infrastructure. The best way to coordinate these two parts is to unbundle the two parts and then maybe bringing some very new services that might only have the idea but the very good idea that attracts very new population and attach that to the banking infrastructure through the APIs. Tim: Is this your idea or does the FSA actually understand this concept? Toshio: It’s not my idea. Banking API initiative has been in discussion for 20 years or so but the seriousness of this debate only came out 3 or 4 years ago. I believe it was driven by the PSD2 because PSD2 asks the banks to open up APIs but at the same time the venture industry finds these opportunities in a very savvy manner. So we come up with a ton of ideas so that we could use banking infrastructure for the good of the consumers. Tim: I agree with you totally. It makes perfect sense and it’s a way to have that banks fulfill their mission in society which requires security and stability and still open up innovation around the edges. I was just curious whether that’s something that the FSA has taken to heart as a matter of policy or just something that is happening as a happy accident. Toshio: Initially we thought it was like one trend. They might forget it three months or so but things turned out to be pretty serious. Tim: Well, they moved really fast on it too. Toshio: Yes. Japan is still a country where when government gets serious, they make very fast decisions. Tim: I think this is one of the biggest misconceptions about Japan, that most people think Japan changes very slowly and it doesn’t. Japan changes incredibly quickly just sometimes it takes a very long time for people to make a decision. But once it’s made, it happens. Toshio: Yes. I think the background about the speediness of this discussion is that actually creating room for innovation doesn’t cost much when you compare that to putting tax payers’ money inside banks, that’s a lot of work. Tim: Japan’s done a lot of that, too much of that already. Toshio: When you can control at the moderate level of risk to enhance innovation, it’s not an issue where the government or banking institutions need to pay billions of money. It’s much more easier for both the government and the banks to adopt this new room for innovation. Tim: That makes a lot of sense from the government’s point of view because they’re looking out for the society as a whole. It’s wonderful news for the FinTech community in Japan but are the banks supportive of this as well? Toshio: In Japan, they are very, very collaborative. Initially, we thought banking API would create a lot of enemy for the banks. Maybe in 10 or 20 years’ time where the younger generation don’t use cash anymore, people will probably start figuring out that it’s the banks that provides the best APIs. That kind of world might be the world where maybe banks simply get disruptive because you only maybe need just one bank that provides APIs. But the Japanese banks are very open to new innovations and they are very fast to admit that there are new services that gained a lot of population during these few years and they also acknowledge very well that software development, even if you want to make the very same thing inside the bank, takes three or five times. As a smartphone user by themselves, they acknowledge that difference in the user satisfaction. Tim: That’s fantastic. So we actually have the government, the FSA, the banks, and the startups all sharing the same vision. That’s pretty powerful. Toshio: Yes, I believe so. There are small issue about how maybe we can govern the security standards of the small players and these kind of players who will connect to the banking APIs will be registered to the Japanese FSA from next year. We’re trying to make this the minimum standard of how FinTech ventures should behave. We have to maintain that sense of security when you are still trying to access the banking function. Tim: You’re a head of the FinTech Institute in Japan so you’re seeing a lot of new technologies constantly. In the general media, things like bitcoin and some new apps that are getting a lot of the attention, what are the most important FinTech developments in Japan right now? Is it the opening of these APIs? Is it cryptocurrencies? 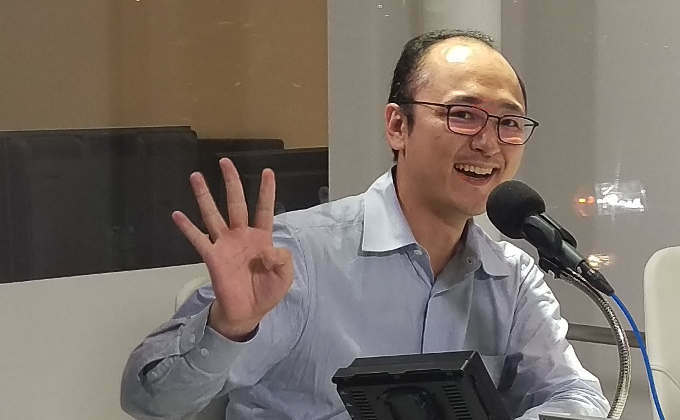 Toshio: As one player, we’ve advocated a lot about APIs but I think in three or fourth year from now, I always mention the word cashless because we use cash heavily in this industry and there is a reason to that. ATM is mostly free in Japan. Actually the Japanese banknote only circulate six or seven times after the Bank of Japan prints the money and then they receive the money back. I always mention that Japanese banknotes are less smelly. It doesn’t circulate that much. There is a rationality in holding cash in many means but when you think about the developments in like China where you cannot live without WeChat. That’s the world probably that is already available in technological standards. Japan always goes a little faster in those sense where we’ve had this mobile phone payment since 2001 called osaifu-keitai. When you go talking to Chinese or Indian entrepreneurs, they always mention, “You guys got that osaifu-Keitai for like 16 years or so.” That’s true but it didn’t really penetrate for a long time. Tim: Japan did exactly the same thing with i-mode. I had email and web browsing on my mobile phone in ‘99 but they didn’t take it global. Toshio: Yes. This total importance comes from having an open architecture, not having high standard to ideas. You shouldn’t set really, really high standards to get into this one platform because you never know what’s the next interesting app in the world. Tim: What do you think people should be looking at FinTech in Japan? Toshio: This year, we’ve seen a lot of peer-to-peer payment apps. To be very correct in legal terms, peer-to-peer payment of cash is illegal unless you are a bank in Japan. One kind of an app you can actually send money within yourself and you can actually withdraw that money into your own bank account but you cannot mention that as like a, “I will send you $100.” You can only send that with the reasoning with a receipt that says that you paid on behalf of me that $100 so I will pay back that money. Tim: It’s a legal fiction. Toshio: Yes, yes. You have to take the approach that you are paying on behalf of somebody to make a peer-to-peer payment. Tim: Do you think that is going to be opened up legally in the future? Toshio: In the future, every regulation will be much more risk-based. Maybe having a regulation that has lower regulatory cost for people who only send up to $100,000 a year or so. Those services should be regulated much more lighter than opening up a bank account. It comes from all these anti-money laundering issues and anti-terrorism acts. I think looking at what’s happening in the world, all of these innovations and what happens in payments across the globe, these needs to be relaxed. We should see much more value inside how much data could be generated with electronic money and that creates a new sense of credit to the individual merchants. Tim: Let me ask you kind of a cynical question. Tim: A lot of my friends in FinTech, in cryptocurrency are always talking about the disruption of the financial industry but banking has a very special place in the political economy. They have tremendous power over how laws are written. Do you think that banking itself will ever really be disrupted or do you think that most of the innovation will be around the edges? 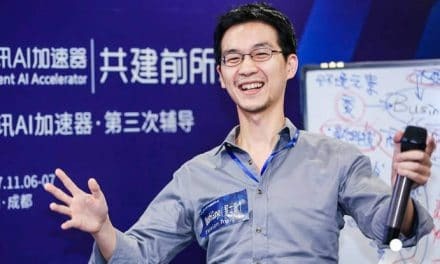 Toshio: I think like in China, you are already witnessing this reverse world where like Alibaba and WeChat are almost governing the citizens’ money right now. That might be one issue where if Google put up a bank or when Apple opens up a bank, that might really change the landscape in the U.S. same might go to Japan where already communication software line already has a payment function so you can send money for free online. There is always this gradual shift and internet is about empowering individuals. What maybe the bank can give in the world without cash is about creating information about trust. If banks remain as the best provider of trustable information, then probably they will still own similar presence inside the economy but if banks are not the right person to create such information, then probably many things will be so called democratized. I’ve always mentioned that disruption is a very wrong word for the banking industry. It’s about the shift of how people perceive what trust is or it’s about the shift people of how people feel safety about certain products or certain choices. If people are seeing things differently, then there is this gradual shift inside the economy where trust is much more allocated. Tim: Listen, before we wrap up, I want to ask you what I call my magic wand question. And that is if I gave you a magic wand and I said you could change one thing about Japan, anything at all, the education system, the legal system, the way people think about risk, anything at all to make it better for startups here in Japan, what would you change? Toshio: The whole notion about why the Japanese economy has been weakly eroding or fading for the last 30 years or so is simply because the Japanese economy is aging and that’s it. If you have a population pyramid that’s reversed, of course the demographic will shift towards the elder society what we call the silver democracy. This silver economy is thought like a bad a one but the best solution is to have a more non-pyramid demographic structure inside the population. It’s more about having maybe faith in delivering more than two children during your lifetime and I think actually we can do that. Tim: The demographic problem is something that gets talked about a lot. What can be done to fix that? Toshio: To be very honest, it’s about transparency about life. When you talk about transparency, you go to the issue of if you have a transparent media issue or if you have a transparent accounting issue but it’s not about that. It’s more about the ability to look about your life in 30 years’ time from now. If you can see yourself 30 years older than right now and you know the consequences of many of the choices you make, then probably people will behave much more differently and I think it’s about transparency about the real future. Tim: So you think that if young people have more confidence and more certainty in their future, they’re more likely to have families and have kids? Toshio: Yes or maybe they might choose just to have one child or even not get married but people would not get pessimistic about those choices. Tim: Isn’t that the opposite motivation for entrepreneurship? Tim: Doesn’t it seem that entrepreneurs would thrive in an environment where the future is not certain and that they don’t know what’s going to happen and that there’s lots of troubles; whereas, maybe the population growth would thrive in the opposite environment when things are certain and stable. Tim: I see. It’s more of just having a future mindset. Tim: So thinking of how your actions today will affect your life and other people’s lives in 5 years, in 20, in 30. Toshio: I think the same issue comes out everywhere in the world in the world of politics right now. Tim: Listen, Toshio, thank you so much for sitting down with me today. Toshio: Sure. It was a pleasure to be able to talk today. One thing I find particularly interesting about Money Forward’s experience in bringing their product to market was how the composition of the team accidentally gave them an advantage. While many of their competitors made the perfectly sensible choice to make a personal finance app that was focused on the needs of the women who manage most of the finances in Japan, Toshio and his group of only male co-founders created something that they would want to use and sure enough, Money Forward has seen greater adoption by men than by women. However, this also illustrates the motivations behind incremental and disruptive innovation. Many of the apps marketed at housewives focus on letting the users perform their current tasks more efficiently. In a sense, these tools provide value by improving existing workflow. Money Forward and the other apps like them focus on the results, understanding your financial balances, and completely throw out the existing workflow to create the simplest path to the desired result. Such tools always feel awkward and incomplete to those used to the old workflow but – and this is where disruptive innovation comes in – they can deliver the desired result to a whole new class of users. In this case, men and single people who would not have taken the time required to do things the old way and are happy to start using these new tools. And in the end, the simple more efficient workflows almost always win. I could certainly see this happening and Toshio definitely understands the landscape better than I do. However, banking holds a special place in the regulatory and political structure of all countries. The extent of their regulatory capture makes it hard to imagine that any true disruption will be allowed in the near future. Even without a core disruption however, we are going to be seeing a lot of amazing incremental innovations in the FinTech space around the world. And based on the steps the FSA is taking and the projects that we’re already seeing in the pipeline here, it looks like some of the most innovative startups will be coming out of Japan. If you have thoughts about or experience with FinTech, Toshio and I would love to hear from you. So come by disruptingjapan.com/show096 and let’s talk about it. 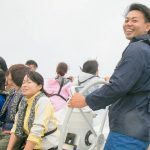 And when you drop by the site, you’ll see all the links and notes that Toshio and I talked about and much, much more in the resources section of the post. And hey, I know you’ve been meaning to do this for a while now but when you get a chance, please leave us an honest review on iTunes. It’s really a great way that you can help us get the word out and support the show. But most of all thanks for listening and thank you for letting people interested in Japanese startups know about the show.